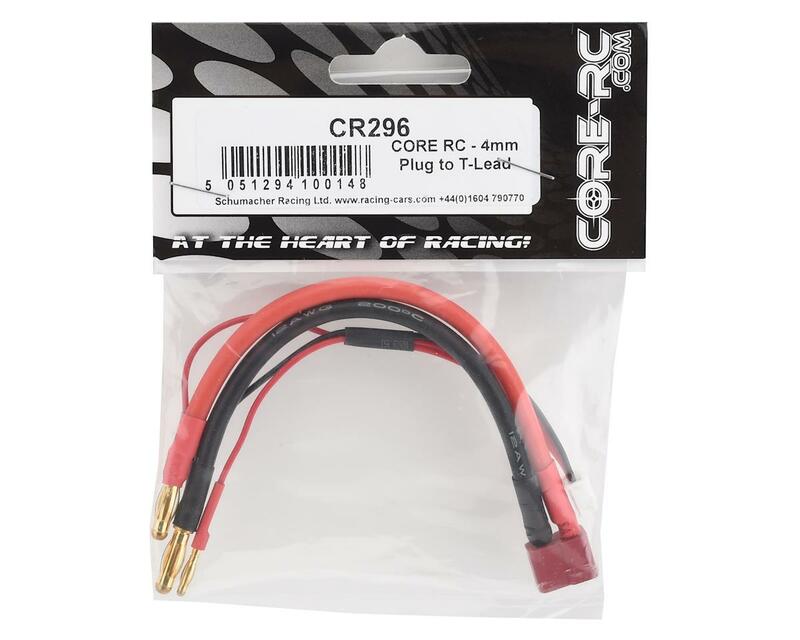 Core RC 4mm Bullet to T-Style Plug Lead. This is a great option for balance charging 4mm bullet equipped batteries. 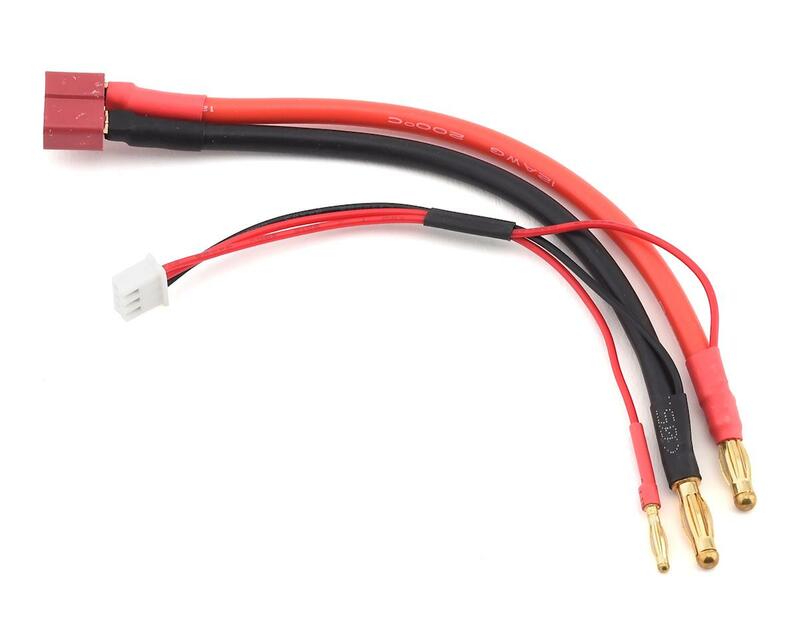 Made from 12awg wire, with 4mm spring type bullet connectors, a female t-style plug and an XH style balance tap. Length is approx 6" measured from end to end.